Don't think these petite poultry require the same care as chickens just because they provide meat and eggs, too. Although quail are relatives to other common farm-raised poultry, they’re not often among the first birds you’d think of bringing home. But these small birds definitely have a place on small farms and in backyards, as they are producers of meat and eggs and can be used to restock quail into their natural habitats. People have various reasons for wanting to raise quail. These are small, interesting-looking birds that don’t need to be kept in a large area. In fact, quail breeders actually recommend keeping them in large cages. Their small eggs—five quail eggs equal about one chicken egg—and meat are sought after by foodies, providing food for a family or as a small farm-business venture. These items can sell at farmers markets and to high-end restaurants. Quail can be kept for breeding, as well, with the offspring being sold to hunting or nature preserves, for wildlife release, or to other quail keepers. 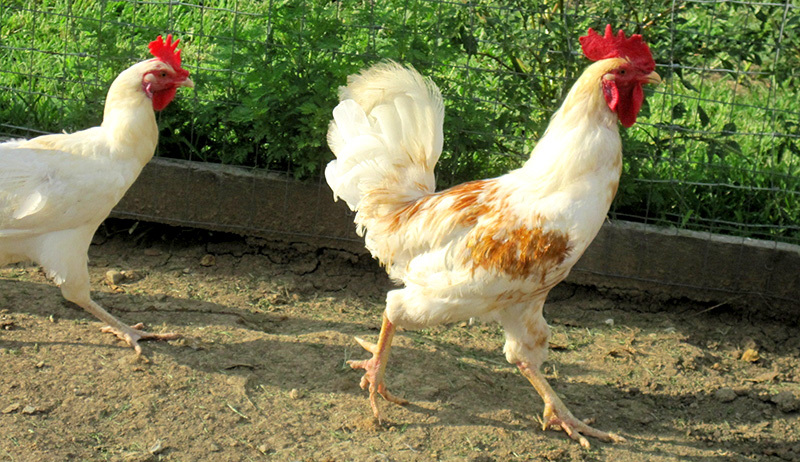 In many areas where chicken keeping is prohibited in neighborhood, city or county ordinances, quail-raising statutes do not exist. But make no mistake—keeping quail is not like keeping chickens. The Eastern bobwhite is the most common quail species in the wild and in confinement in the U.S., though there are other breeds that you might consider for raising on your farm. Pharaoh quail or Jumbo Bobwhite quail, Coturnix or Japanese quail, Button quail, and Chinese-Painted quail can be found from breeders and hatcheries. Many quail keepers will tell you the Coturnix quail are the best for beginners. To get a covey started and keep it going, you have the option of purchasing fertilized eggs to hatch in an incubator, allowing your quail hens to set their own eggs or purchasing day-old quail chicks (aka cheepers). Hatching eggs requires more skill than purchasing day-old quail chicks. If you have males and females, you can collect eggs and hold them for seven to 10 days at 55 to 65 degrees F before putting them into an incubator—though three to seven days is ideal, according to PennState Extension. Set the quail eggs at 99.5 to 100 degrees F for 24 days, turning them at least three times per day. From here, the quail chicks can move to the brooder. Mating birds is even trickier than hatching eggs in an incubator. The conditions must be just right for embryo development and hatching. A quail hen has to provide the right temperature and humidity for its eggs for 24 days. Quail hens don’t tend to be as broody as chicken hens. Buying day-old chicks is, of course, the least labor- and equipment-intensive means of starting or expanding your quail flock. If you have an existing covey, quarantine these new birds for three weeks to be sure they don’t carry any problems that could be passed along to your other quail. 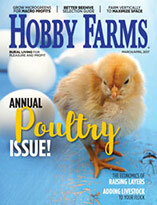 Only purchase chicks from a reputable, National Poultry Improvement Program-certified source. Quail are technically wild birds—even though we’ve domesticated them—and you might need a permit from your state department of fish and game before you bring quail to your farm. Be sure to check on this before you begin making preparations. You may already have some of the infrastructure you need to keep quail. They are small birds that are vulnerable to predators and disease, so their environment needs to be carefully managed. Breeders are best kept at 55 to 85 degrees F, and significant temperature swings will cause a decrease in production, according to the UF Extension. Quail housing options include floor pens as well as colony cages or individual cages that are elevated off of the floor. Breeding quail kept in floor pens will not produce as well as caged breeders, and they will be exposed to more health issues than those kept off of the floor, but the day-to-day water and feed management is not as intensive as in caged environments, according to the UF Extension. Birds in floor pens each need 1 square foot of space. In colony cages, several females and males are housed together, which makes it difficult to know who the most productive birds are. In individual cages, it’s just a single breeder pair together, so you know who is being productive, but you need more infrastructure, space and birds to keep the 1:1 ratio. Cages have the advantage of allowing waste to drop to the floor and away from the birds. Quail kept in colony or individual cages need 6 square inches of space per bird. Flight pens are needed for quail being raised for release into the wild. The quail need to be moved into the flight pen one month before their scheduled release, according to the Mississippi State University Cooperative Extension Service. A flight pen is 12 to 15 feet wide, at least 40-feet long, and tall enough to walk into with a walk-behind tractor or drive into with a small tractor with a tiller attachment to work the birds’ waste into the ground occasionally. Each quail needs 2 square feet of space in the flight pen. Feeding and watering quail are tasks that need to be attended to every day, as quail should have free choice to both at all times. MSU Cooperative Extension offers a quail-feeding chart that outlines recommended nutritional guidelines for each type of quail (meat, flight or breeder) at each age. When you are transitioning quail from one feed to another, make changes gradually over the course of a week. The UF Extension suggests a minimum of 1 linear inch of feeder space and 1/3 linear inch of waterer space per bird. Feeders and waterers should be elevated off of the ground at the same height as the birds’ backs. If quail are kept on the floor, put a wire rack under the feeders and waterers so the birds are not standing in waste while they’re spending time at the feeder and waterer. Provide a source of grit, such as crushed oyster shell, as well. The brooder space needs to be a clean, dry, warm, predator-proof, well-ventilated (but not drafty) space. 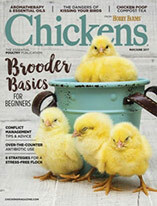 In the brooder area, the Texas Agricultural Extension Service recommends six chicks per square foot in the first two weeks, four chicks per square foot for weeks two through six, and three chicks per square foot after six weeks. 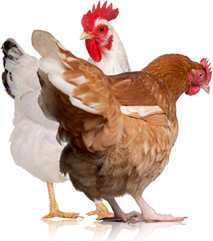 You need a heat source, such as a heat lamp, to maintain brooder temperature at chick level at 95 to 97 degrees F in the first week. The temperature can be reduced by 5 degrees F per week, down to 75 degrees F. Bed the brooder with wood shavings or rice hulls—never paper or cardboard, which are slick and can cause leg injuries. Lighting in the brooder area is important, too. A 100-watt bulb on continuously for the first three days will help chicks find feed and water. A low-intensity light after this time will keep cannibalism—a common issue—at a minimum. Dealing with illness is a challenge of keeping quail. These birds do not naturally live in cages, so this type of rearing automatically introduces a level of stress to the quail. Health issues you might see include ulcerative enteritis, coccidiosis, blackhead and capillary worms. Do not add adult quail to your flock—only young chicks or eggs. Work with younger quail first, then older. It’s easier for older birds to pass issues on to younger birds than vice-versa. Clean waterers each day and feeders at least once per week. Do not crowd birds in pens, and be sure they always have feed and water. Do not feed moldy feed. Practice smart biosecurity, such as removing sick or dead quail from the pen immediately, not allowing visitors who have come from other poultry farms, and not sharing equipment with other poultry keepers. Control rodents, wild birds and insects. Quarantine any quail returning to your farm after an exhibition or for any other reason. Quail are easy to keep in the city for a number of reasons. Quail are quiet and docile. They don’t take up much space. And city chicken-keeping ordinances don’t usually apply to quail. Quail waste contains a lot of ammonia, so especially in a city environment where odors can bother neighbors, it’s important to clean up after them regularly. Their waste can be composted or otherwise moved off of your property. If your chickens just don’t scratch your whole poultry itch—or if you can’t have chickens at all—quail might do the trick. Their potential for food production and a niche market outlet can make it worthwhile to learn how to incorporate them into your farm or yard.